* End the War and Occupation in Iraq and the Policies of Empire Behind the War; TROOPS HOME NOW!. * Stop Chevron’s Plans to Expand their Richmond Refinery to Refine Dirty Crude! 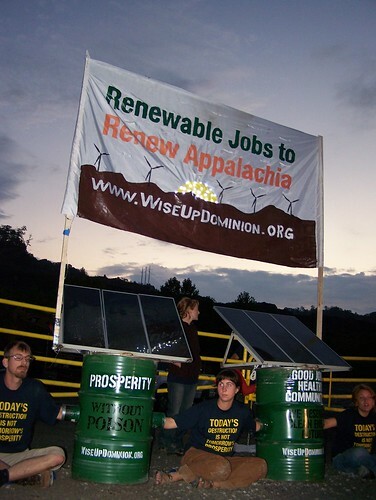 * Create Just, Democratic REAL Green Energy, Transportation, Jobs and Economy! 11am. Rally. Judge G. Carroll Park, W. Cutting Blvd & S. Garrard Blvd, Richmond. Community groups from Richmond and other impacted communities will be speaking. Speakers at the rally include Henry Clark of West County Toxics Coalition, Richmond Mayor Gayle McLaughlin, and Jessica Tovar from Communities for a Better Environment. Performers include DJ Jermiah and Afrobeat Nation, DJ Zeph and Azeem, spoken word artist Ariel Luckey, and the Raging Grannies. 1pm. Nonviolent Direct Action. Chevron Refinery, 100 Chevron Way, Richmond. Our goal is to stop all stolen Iraqi oil from exiting and entering the refinery by land, by boat, by bike. We’re also planning a street party with awesome DJs, bands and local artists. The recent Northeast SDS convention in Philly signaled a new stage of maturation and growth for SDS. It was a huge step forward for the organization and the most collectively organized SDS gatherings yet. It was super exciting to participate in. Here is a reportback from Robin Markle (college student with Drew SDS) and Becca Rast (highschool student with Lancaster SDS), published on Znet. The Day of Action Against Coal Finance has been great, over 40 cities and towns did well over 100 actions against Citi and Bank of America (with a couple of actions against Duke and Peabody). The movements to stop destructive coal extraction and coal-fired power plants is building momentum. These are a few highlights from the Thursday, Friday and Saturday’s activities.